This will be a short one as the answers are very obvious. I got asked if I would write an article about the topic on how to perfectly bring light to your workbench. I thought yes but I have not much to tell. There are many lamps out there and I could make this a techniqual and science report, but I am not really good in such matters. I am more the type of what you see is what you get. So let me explain why the answer to this questions is as easy as it is. I have become a big fan of my Tri Tube Pro Lamp I now own since some months and can not imagine painting without. Looking at my workbench again with the new lamp you truely see the difference. You get a way better light on a big area of your table as the Tri Tube Pro has a lot of power. Since the day I first time switched on the lamp I am not really using my Ikea Lamps at all. This lamp really keeps your eyes focused and your table shining bright. I for my part can only tell you that this lamp changed my working. Sure I could tell you about other options and how you can maybe reach this light with many other lamps but why should I if there is one answer to the question. Believe me you will enjoy this lamp in all its aspects. Light power, construction and material quality and in the end it truely looks professional. I just can tell you I see this lamp more and more often during painting classes and painters meetings and I think this is just great - so if you got the chance, grab yours and make your workspace a corner of eternal light. You don't know where to get them? I heard rumors too that they are not easy to get as they mostly are sold out immediatly BUT I got mail that Battlefield-Berlin just recieved a stock up - so hurry! 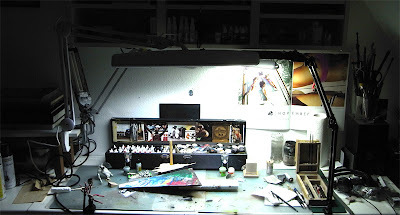 I am not only able to show you my old workbench with the lamp at use. I am truely happy that the Tri Tube is in our news studio too! Remember not to look inside the light during painting, you might be blinded for some minutes - true story, bro! Wow! Now that is a difference in lighting. I'm currently using 2 spotlights, one in front of me and one behind, but they are a pain. May definitely consider replacing them. This TriTube-lamp is really great for all kind of hobby stuff, painting, modelling, etc. This link gives imo a guideline on what to search for. The problem is I only was able to find bulbs up to 1200-2000 lux, what's quite reasonable. But here raises the last problem I hadn't solved still. The light quality or warmth. New bulbs provide high illumination for cold light but not at all for the warm. Despite the intensity, cold light confuses my eyes when working with low contrast ie: white primings. so I had to get an edison wire (incandescence at least) bulb for the warm. But the thing makes a furnace of the workspace. I hope this little information could be useful to you. 2Roger, I also have problems with pure cold bulbs. So I got 2 lamps, one has warm (2700k) bulb and the other cold (4100k). It works pretty well. For some reason I was not be able to find powerful bulbs in finland, so I got Eurolamps 30watts each (eq 150w) 1450 lumen. I'm wondering if the lamps are 220 or 110? I tried to search for them for US but no luck. Anyone have some ideas? Hier gibt es die Lampen auch und das günstiger! LED Lighting for aquarium is not at all as mystical as we are told. Strong LEDs produce a significant amount of heat, which means you need active cooling after all. I have build two LED lights for saltwatertanks (1:1 White:blue) with 30 and 60 watt and you can't use it without a fan. 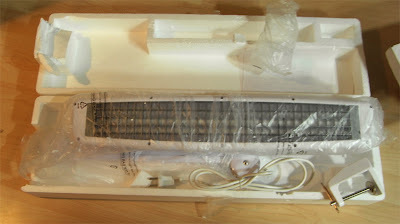 RIght now I#m constructing a lamp with 1 W LEDs for saltwater too, but if that one works without active cooling I will definitely try to build one for painting. The Problem with LED is: they are freakin expensive and if you use cheap China ones like from Wayjun you never Know what light color you will get in the end. @ Roger: Check out your local petstore for different colored T5 Tubes. They usually come in a hundred different temperatures. If one would combine one very strong cold light with a slightly yellowish weaker light I guess you could get a better light for your eyes. I can just recommend getting one of the tri tubes. The light is very nice and also very diffuse which is good because the lamp doesn't cast harsh shadows. Please do not post advertisement links on the blog without asking. We are not big fans of "get it over there and get it much cheaper". Battlefield Berlin is a very good supplier and without those guys always looking for the best hobby stuff the community wouldn't even know about the lamps. I can just recommend getting the lamp at Battlefield Berlin as they are always pioneers at hobby products and when everyone will buy their stuff at the other dealers that just simply copy the inventory of products that are reviewed here at MV maybe someday BFB will stop looking for new products that enhance our hobby. I thought the same but was kind of slow in commenting. 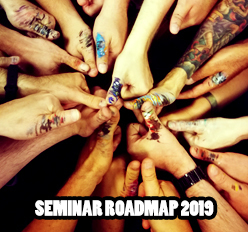 Thanks to everyone for bringing their experience into the topic with their comments. Not all tubes are made the same, some have a really weird spectra. So beware when buying, you could get a crappy cool-white or a good cool-white lamp. You can see this with a CD. Poor lamps will show the rainbow like if it was made of blobs instead of a continous reflection line. The smoother (size changes and colour gradient blending) the better. Hmm...strange to me that you are opposed to hobbyists getting things cheaper at other suppliers. This makes your review seem biased and paid for. You are clearly beholden to BFB for some reason other than that they offer the best products at the cheapest prices. I now know to keep this in mind when taking advice from this site. Do you think it will be as good as the tube one? Awesome! I need it as a birthday present which is comming up soon... Can you recommend it? I am looking forward to your preview! My sister is asking me every day which one do I want, because she is going to buy a lamp for me this christmas. I looked for Roman's review but I could not find it, please if it is here, send me the link. It will be hard to get it for christmas because of shiping, because I am Spanish, but I really preffer to wait what needed before purchasing. Thanks for your work, this blog is very helpful. Ahh Pepe, I knew I forgot something. I am a little drowning in my move of flats, but I make the review this week. Promised. In fact I finish it right now for tomorrow. A) What kind of light would do the job? B) Where should the light be placed to get the best effect so the whole wall is bathed in light? A) Daylight Lamp is best for painting without changing the colors. I am very sorry to be not able to tell you about the Kalvin number. B) This is individually personal preference, Sir. You are absolutely right here, but what if the room you paint in does not have a big window where you need it or you only find time to paint after work at night?